We can take care of your books, leaving you free to run your business. From training and advice to full-charge bookkeeping and accounting services, we will tailor a service that provides as little or as much help as you need. We provide compiled and reviewed financial statements in accordance with Generally Accepted Accounting Principles in the United States. You bring us your data, and we’ll handle all of your bookkeeping for you so that you can be free to do what you do best—run your business. We can even integrate Quickbooks Online with your bank account to provide up-to-the-minute bank balances so you always know your cash position. 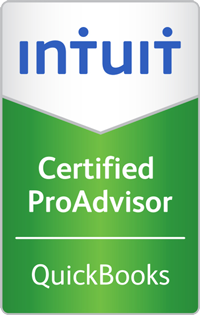 With QuickBooks Certified professionals on staff we can help you get the most out of your desktop or online system. Having years of accounting system experience we can help you plan, setup and customize your accounting system to fit your needs. We provide payroll services and reporting at the federal and state level. We will also work with other payroll service providers to ensure that you have the best solution for your needs. We can provide the full range of 1099s and 1098s for your business needs. From rentals to contractors and more, we can give you peace of mind knowing that you are meeting your regulatory requirements.